Simple, elegant, timeless. 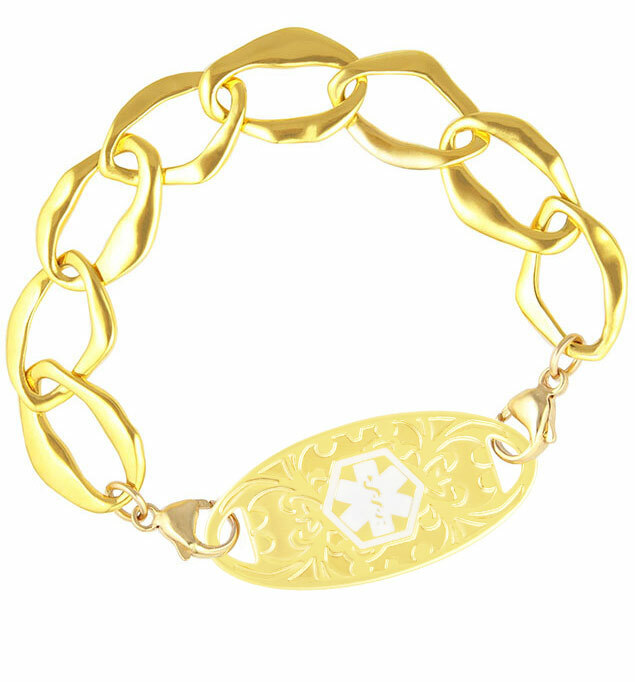 This classically tasteful medical ID bracelet features 14kt gold-plated sterling silver links to create a look that can be dressed up or down for any occasion. Attach your custom-engraved Lauren's Hope medical ID tag into our signature lobster clasps to combine refined style with blissful simplicity. This bracelet is suitable for everyday use including hand washing and bathing.